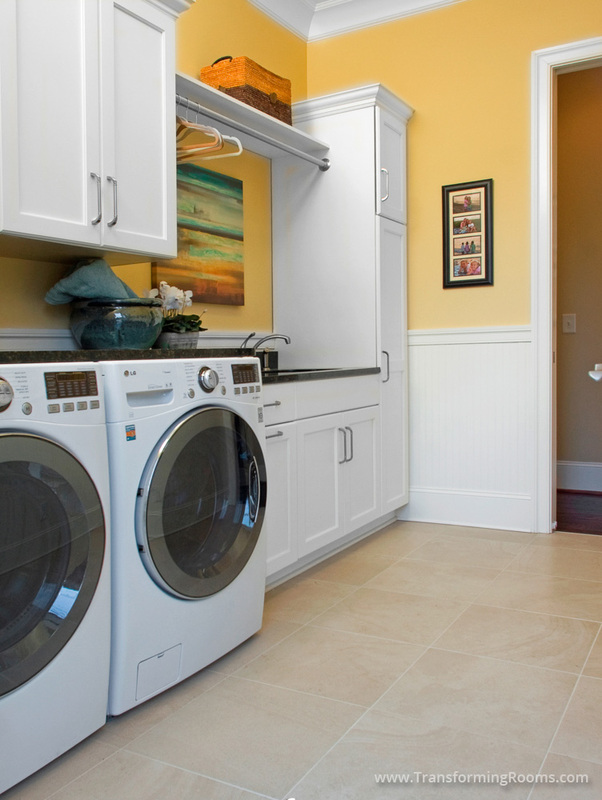 We designed this laundry room remodel so it could accommodate all requests. It includes an ironing board, a sink, a hanging rod, counter top space for folding, and ample storage to make the room functional. Next we selected cheerful colors and photos of family vacations to make laundry day better!